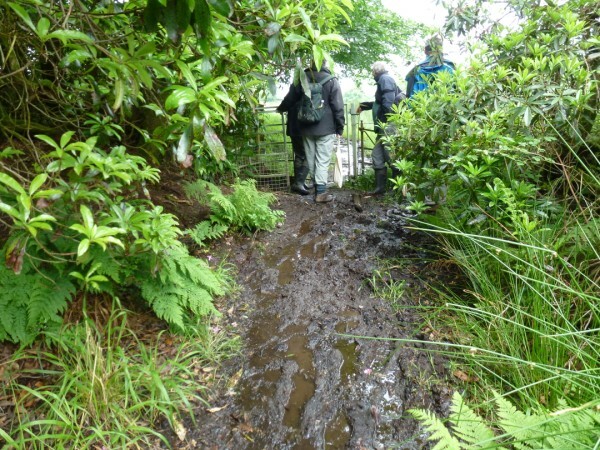 Dales Way committee members and Cumberland County Council Rangers inspect the exceptionally muddy section of the footpath passing Moresdale Hall in June 2012. Early this year, CCC contractors have performed some exploratory work on the path to the west of Moresdale Hall, in an attempt to sort out the drainage on that permanently boggy section. They have cleaned out the ditch to the south (uphill) side of the path, and discovered a blocked drain in the vicinity of the kissing gate. A pipe has been installed under the path, which appears to be stopping the water getting to the gate area. Further drainage work (pipe installation) has been done in the area. Hopefully, given some dry weather, the footpath will be much improved when the walking season begins. They have also cut back the vegetation along that section of the route, which will let some light and air in, which will help. 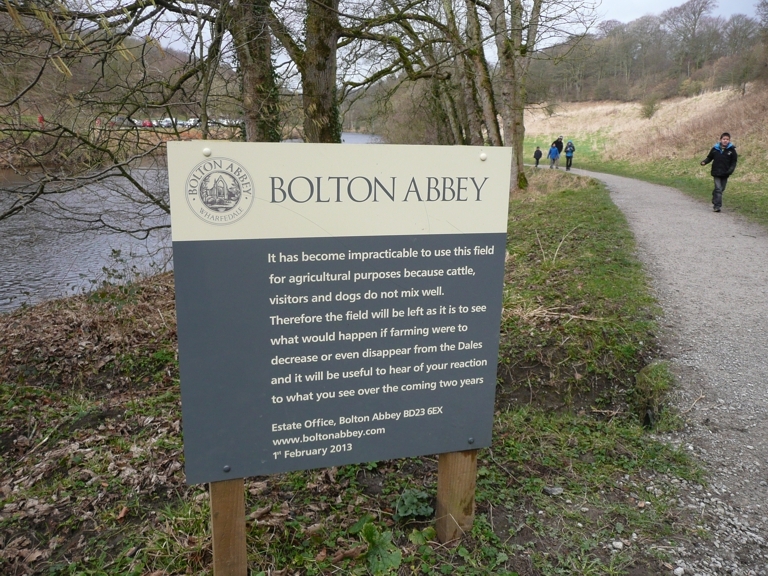 This entry was posted in Footpath and tagged footpath., Improving, the Dales Way on February 6, 2014 by Alex McManus (Footpaths).